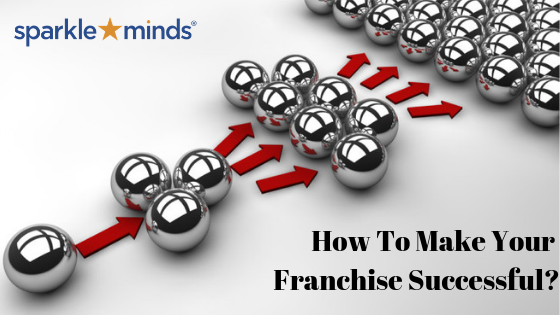 How to Make Your Franchise Successful? How to build a Successful Franchise business? Franchising as a successful form of expansion is not only popular in India but is also accepted worldwide. Franchising has created a lot of success stories, which in turn have inspired others to make the best use of these services. How scalable is your franchise model? There is a plethora of reason as to why franchise is one of the most suitable forms of expansion and how it can be successful for both the parties. Franchising comes with a benefit of cost friendly for the business owner. You can start multiple outlets of your business at once with minimal investment. Also, franchising is an effective method of expansion at all the stages of your business growth. Whether it’s a start-up or have built a huge empire, the moment you decide to franchise, that’s your best time to start. In case, you are not aware of all the documentation, legalities, and requirements other requirements for franchising; it’s always advisable to consult a franchise consultant. Retention of Customers: It is important to provide the best service to your customer when they visit you for the primary time. It is important that they are happy with your services. Hence, they will return back and also recommend your services to other, it is like a chain. Having a set customer base is really important for any business to function well and establish successfully. Market Consolidation: The business has a lot more chances to succeed if the franchise model is built in lines of market growth and dynamics. The market has to be studied on a regular basis and change accordingly. The franchisee should work in the lines of the franchisor which will incline both of the parties according to the market acceptability. Expertise in Handling Franchise System: The franchisor will be able to provide more and in-depth knowledge on the business, industry and franchise techniques as well. This will help both the parties i.e. franchisee and the franchised business at large. Building a Strong Franchise Brand: Brand building is an important attribute for a business. Having a brand strategy provides control over the competitors. A few of the things that matter are a brand logo, website, packaging, and other material of promotion. Control over your Inventory: Having control over your inventory plays a major role as having the right amount of inventory at the appropriate time will do good for the business in the eye of those who use your products or services. It is said that in every 15 minutes there is a new franchise business opened on every business day. Buying equipment’s and products for the company should be done by the franchisee? What are the required business experience and net worth of a franchisee? Marketing strategies for the franchises. Deciding whether the business needs an areas-based operator or a master-franchisees who in-turn will develop multiple units. Therefore, developing a franchise business model has a lot of pros for the business seller as well as the buyer. With a franchise model, the franchisor is able to expand the business. This is implemented with the entrepreneur’s money, which would be tough to do when their own money is involved. Moreover, this will give the business a boost as you will be able to expand at a faster scale then pooling in your own resources. The franchisor, in turn, will collect franchise fee and royalty which will again go in helping the franchisee by providing the required training, machinery and more. There has to be a clear vision and objectives to be shared. There has to be professionalism to be shared. Money: Is the most important factor keeping both the parties’ function on the same line. When profits and goals met, they seem to be in a happy place. Self-Respect: This plays a critical part in a franchise relation, one has to understand that both i.e. the franchisor and the franchisee have to respect each other while living and working with coexistence. Enjoyment: Enjoying what you do is one of the best ways to work as well as progress with the work. Therefore, it is necessary for the franchisor to create a franchise model which a franchisee would enjoy to work with. It is also ouns on the franchisor to carefully sort out franchise applications and select only those who have a passion similar to you. Also, the ones who would love working with you and meeting the commons goals of the franchise business. Recognition: Recognitions plays an important part when it comes to doing any business. Hence, taking up a known/popular franchise business. Have a recognition of what you do is something naturally craved. Therefore, having recognition policies will do great for the franchisee and the business on a whole. Thus, we at Sparkleminds lay great emphasis on having a strong relationship between the franchisor and the franchisee and also ensure that both the parts are in-sink with the goals of the franchise business. A franchisee will always do his/her initial research on companies that they want to take a franchise. The business seekers always search for the success stories, number of franchises, success rate, ROI and more. The other form of enlightening themselves is through visiting franchise expo’s, reading franchise-based materials i.e. magazines, brochure etc. The Indian market has turned out to be very competitive for local brands, as there are a lot of international brands that are setting foot in India. Hence, this is giving a tough competition to local brands. The best way to understand the answer of, how successful a franchise business is? This start with visiting their website and understand the vision and mission statements and also review existing franchisees. At Sparkleminds we have assisted more then 500+ companies establish their base via the franchise model in the country and built successfull franchise for them. Cherish Maternity, a maternity clothing brand which caters to its customer through online portals and offline stores, we have developed a franchise model for them from scratch. Which includes developed marketing and other promotional strategies for them. One of the other popular brands we have worked with is Shemford a big player in the playschool industry. Likewise, we have worked with a plethora of companies and established franchise models for them from the initial stage and also assisted with recruitment of Master Franchises. Wondering how to make a franchise or what are the good characteristics of a good franchise? then we at Sparkleminds can help you! Understanding the nuances of how to build a successful franchise business, setting up franchise or franchise guidelines to follow. In order to setup a perfect franchise model for the franchisee to abide by. Previous PostPrevious Why franchising is the ideal form of expansion – Know the expert’s opinion.